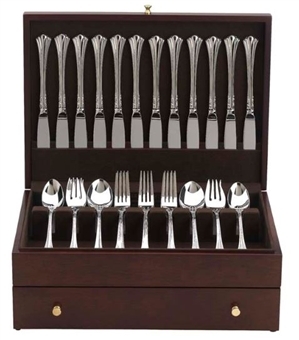 Classically-styled flatware chest makes an essential storage piece for any flatware service set. 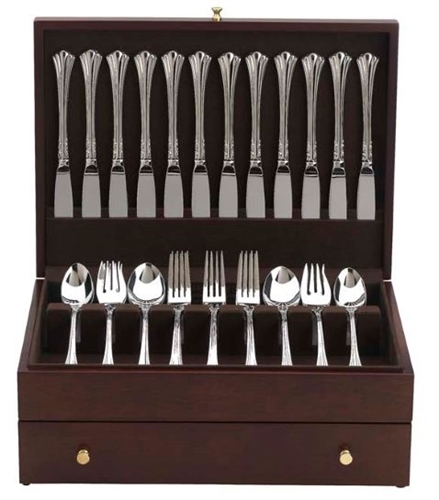 The five-section drawer also has plenty of room for any serving piece. 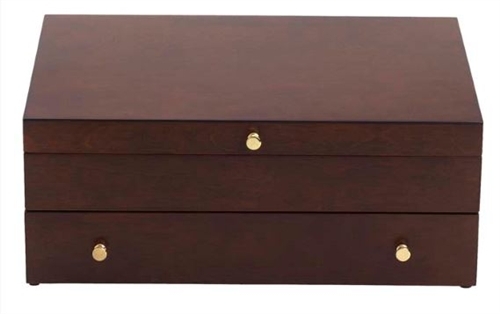 Lined in tarnish-resistant silver flannel, this rich mahogany chest will look great on your buffet, counter top, or china cabinet. 15 x 11 x 5 1/2"